Why horses and donkeys?…great question! Because equines are “herd” animals, they like humans, rely on each other for safety, companionship and survival. In nature, equines are “prey” animals, (i.e., predatory animals want to EAT them!). Hence to protect themselves, they have developed keen observing senses resulting in an extreme awareness of the environmental dynamics surrounding them at EACH MOMENT. This keen awareness is possessed by each equine as well as in the herd collectively. Since silence beneﬁts prey animals (quiet and no one will know you are there), equines have evolved a system of non-verbal communication. They can immediately communicate complex information to individual horses or to the entire herd with precise body language. Among other benefits, this type of communication enables the herd to maintain a network of constant awareness (mindful living!) over a large area, making it difficult for predators to surprise them. Equines see well and hear well. Their powers of observation in the “here and now” are, indeed, impressive. 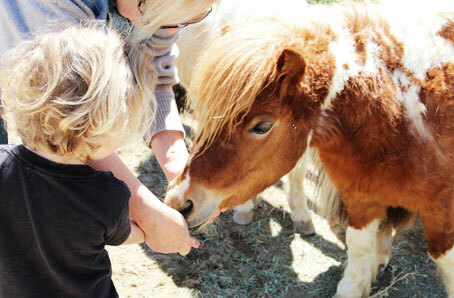 Equines can teach humans a lot about non-verbal behavior and intention. Equines keen overall senses, their ability to read body language and their non-verbal communication skills enable them to comprehend phenomena that lie outside of our human awareness. Equines watch us (part of their environment) and react according to what “energy”/emotion (emotion=energy in motion) they experience in their environment. While observing us, equines will often reflect back the emotions we may be feeling. 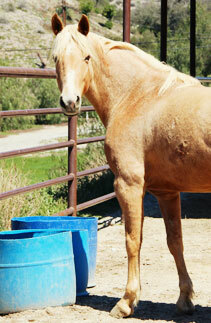 If we are confident and trustworthy (good leader qualities), equines will trust us to lead them. If we act nervous, they will become nervous! If we are scared, they may stand off or perhaps flee. 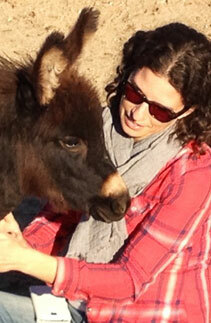 Just hang out with equines, and you will get a moment to moment reflection of what is going on with you! In addition to being keen observers, equines are also authentic, honest, non-judgmental; they cannot lie, they can only be themselves-and they can help us find ourselves! All of these equine attributes are at least part of the reason that they have the ability to read, interpret and mirror our emotional states. Living in the NOW, they illuminate WHAT IS (which may often may be pre-conscious or unconscious to us) without judgement or criticism, which is why equine assisted learning and therapy is so powerful, revealing insights and solutions that may otherwise be inaccessible. And sometimes, it is just a really fun and a fascinating way to learn, grow and change! These interactions with equines, along with the human team of the licensed mental health clinician and equine clinician is what facilitates growth and change in our clients. For example, if there is a mountain lion in their midst, they are able to smell, hear, feel and read the lion’s intentions. Whether they perceive micro expressions and sounds or whether they perceive energy on a different level-whatever the mechanism, equines are able to read and mirror humans. also read some exchange of energy that occurs between “predator” and “prey.” And we must remember that regardless of how much we may love equines, we are still “predators” to them. They need to read us well for their own survival needs. Luckily for us humans, equines have big enough hearts to trust some of us and show us this dynamic mirroring in a way that we can see our own selves better. “As a clinical psychologist, it is truly an inspiring experience to witness a person letting go and letting the horses help them get connected to what can be, at times, difficult to access through words alone. Through Dr. Wick’s caring, empathic, and intuitive nature she provides a safe environment to explore one’s inner experience. 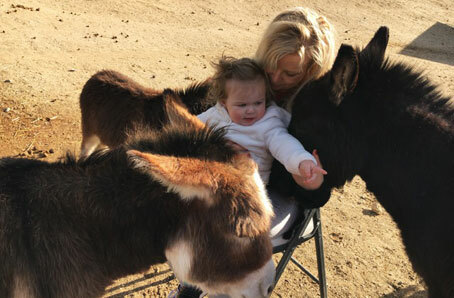 I highly recommend her.” —Stefanie Goldstein, Ph.D.
Meet our miniature donkeys hanging out with Steve, our Equine Specialist. Copyright © 2012–2019 Denim 'n Dirt. All rights reserved.